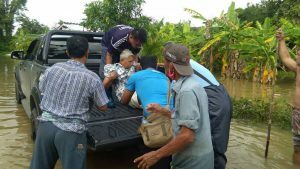 สอบถามข้อมูลหรือขอความช่วยเหลือได้ที่ Pattaya Contact Center 1337 ตลอด 24 ชม. 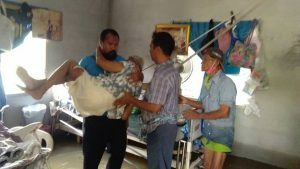 Mayor of Pattaya City placed his concerns and assigned Deputy Mayor to ramp up moving and assisting bedridden patients due to a long period of heavy rainfall resulting in the flowing of water into lower areas. 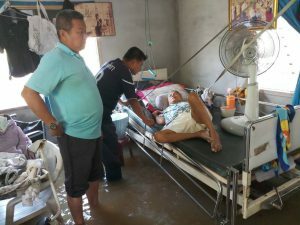 According to Mr. Porames Ngampichet, Deputy Mayor, such patients had been transferred to Pattaya City Hospital for an initial treatment as well as to prevent any infections from diseases caused by contaminated or dirty water in line with the City policy to sustain Pattaya and enhance the betterment for people.